The maritime silk road is an important channel between the eastern and western economic trade and cultural exchange. Guangdong is the birthplace and the unchangeable center of the maritime Silk Road, occupies a very important position in Chinese overseas trade and east-west exchanges history. During Ming and Qing Dynasties, Xiangshan area (including today’s Zhongshan, Zhuhai and Macao) is economic and cultural developed area of the Pearl River Delta. Macao is the outport of Guangzhou, and the primary node of Guangdong's maritime trade and international communication, and the important hub of maritime Silk Road. As far as the Portuguese controlled, Macao had been the important commercial port, which linked Europe, Asia and Africa maritime trade routes. With the development of the early globalization and the establishment of the world marine trade system, Xiangshan, Macao had became an important gateway for Guangdong and even the whole country to go to the sea and the world. 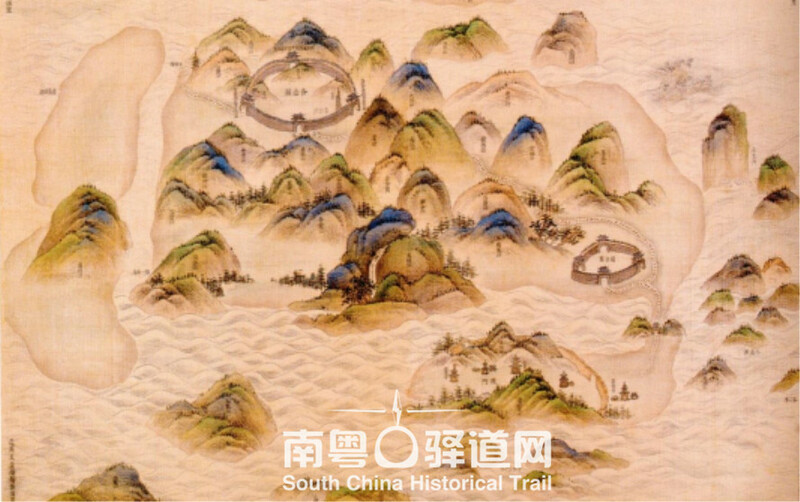 The land route‘Qi Ao ancient road’, which linked from Shiqi to Macao, was the golden section leading to Maritime for Guangdong. It was both the important channel for Guangdong government administer Xiangshan, Haiphong, Macao, and the important traffic routes for villagers of Xiangshan and surrounding areas to Macao in Qing Dynasty. They went to Macao for trade, settlement, or to Hongkong or overseas via Macao. They create the history of Xiangshan development and integration the maritime Silk Road with local villagers living near the ancient road.